Unannounced Ryzen 3 info just quietly got announced. Today, AMD’s disruptive Ryzen processors stepped out of the mainstream and into the business world with the announcemnt of Ryzen Pro chips loaded with enterprise-friendly features. 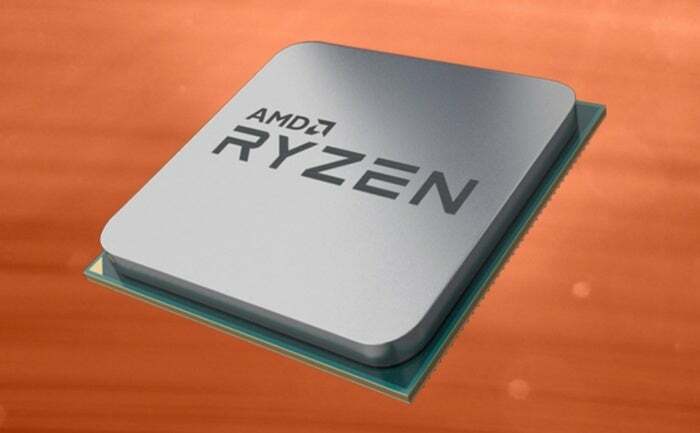 But the soft launch revealed interesting information for enthusiasts, too: Hard details about AMD’s yet-unreleased Ryzen 3 chips. 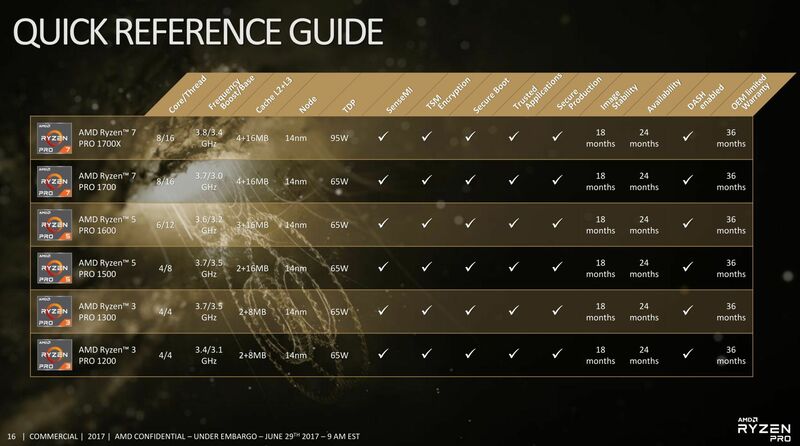 The only thing AMD has officially said about Ryzen 3 is that the Core i3 competitors will launch sometime in the third quarter (read: by the end of September). The Ryzen Pro launch reveals two specific chips, the Ryzen 3 Pro 1200 and Ryzen 3 Pro 1300. 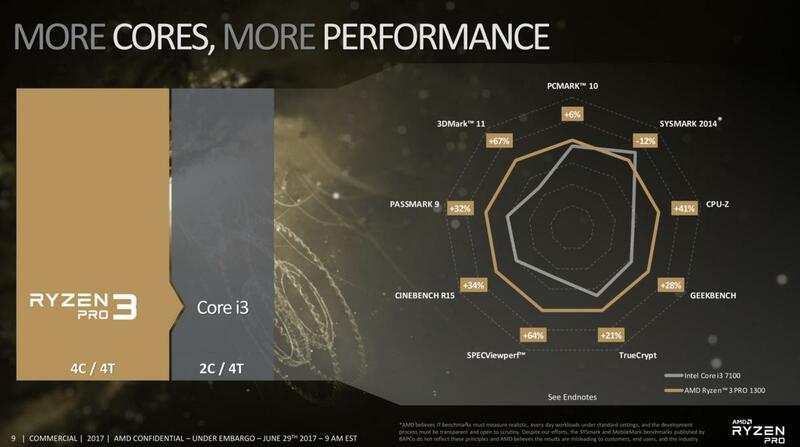 Both are true quad-core chips without multi-threading, packing identical 65-watt TDPs and 2MB L2/8MB L3 cache sizes. The key difference? Clock speeds. 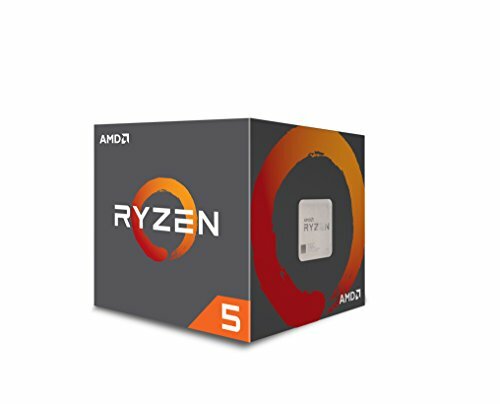 The Ryzen 3 Pro 1200 hovers between 3.1GHz and 3.4GHz, while the faster Ryzen 3 Pro 1300 rocks clocks between 3.5GHz and 3.7GHz. Ryzen 3 vs Core i3, according to AMD. The impact on you at home: There’s no guarantee that consumer Ryzen 3 chips will mirror their Ryzen 3 Pro counterparts, but since every other announced Ryzen Pro chip has identical speeds and feeds as mainstream Ryzen 5 and Ryzen 7 processors, it sure seems likely—though additional models may also appear. We’ll need to wait for Ryzen 3’s official announcement for concrete pricing info as well. Beyond the spec reveal, the fact that AMD even offers professional versions of its entry-level Ryzen 3 chips is noteworthy. Intel doesn’t extend vPro enterprise features that far down the line. Every Ryzen Pro chip enhances Ryzen’s base features with enhanced security and encryption functions, longer guaranteed availability and image stability, DASH manageability, a 36-month warranty, and more.